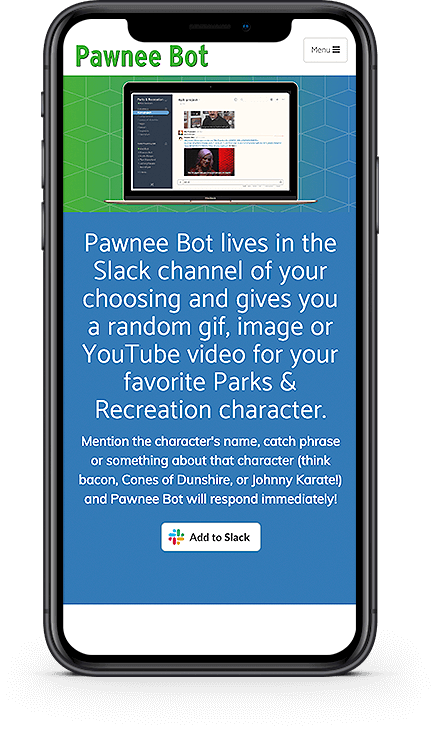 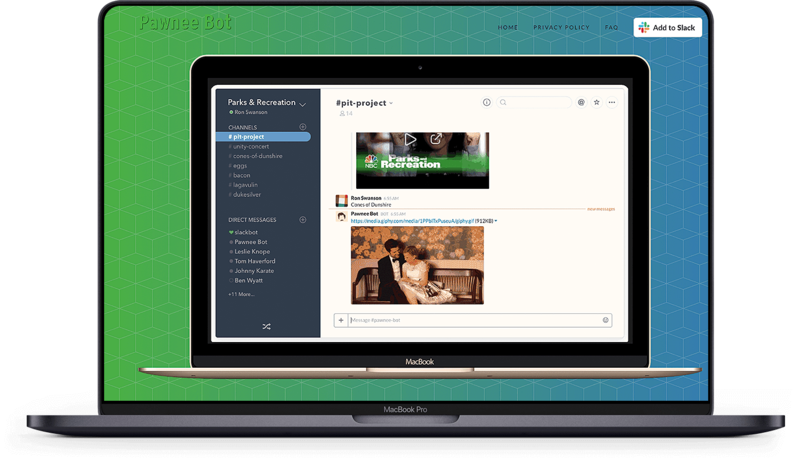 A side project of Mike’s, Pawnee Bot is a bot built for Slack that simply posts content, images, videos, and quotes from Parks and Recreation (the beloved NBC sit-com) when characters’ names are mentioned. 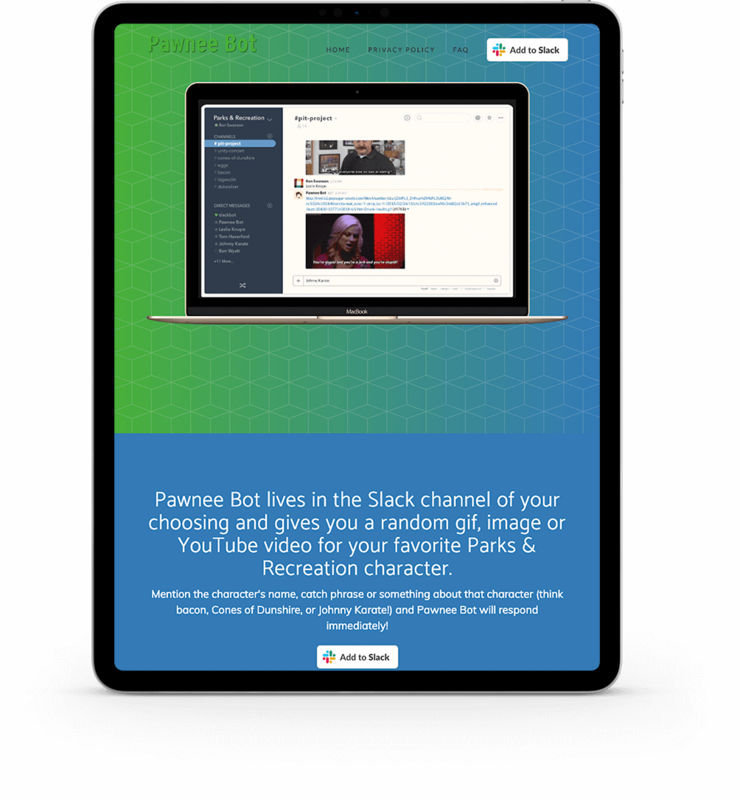 The website gets updated periodically to add new information about changes to the Slack bot, but is primarily stagnant. 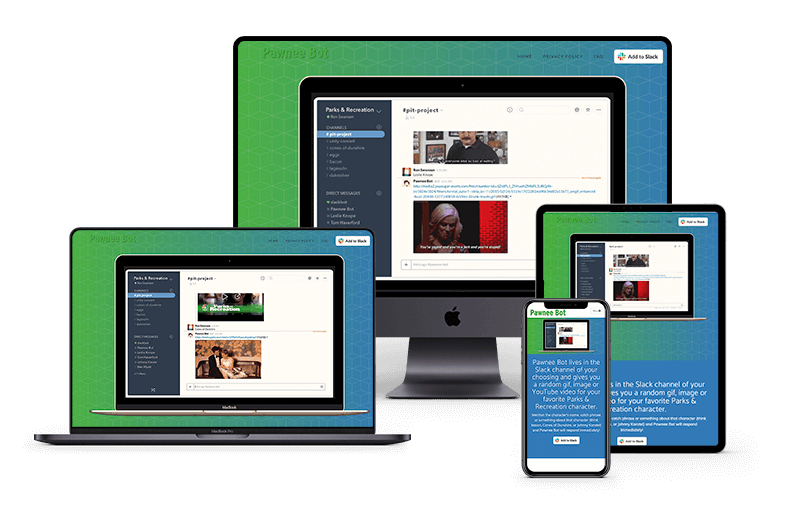 The site and bot are hosted on our hosting infrastructure.